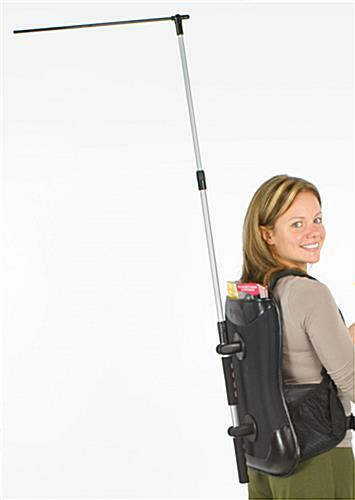 Hands-free mobile marketing is great for promoting any business! Offers simple assembly, no tools required! 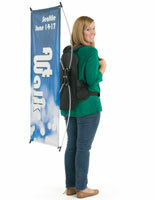 Are you shopping for a backpack flag to help promote your business at an outdoor event? Get your brand name and logo noticed by wearing them on your back! 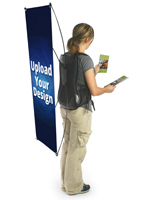 A wearable banner, backpack flag allows users to advertise products with confidence! Passersby will be attracted to the moving graphics worn by your employees. 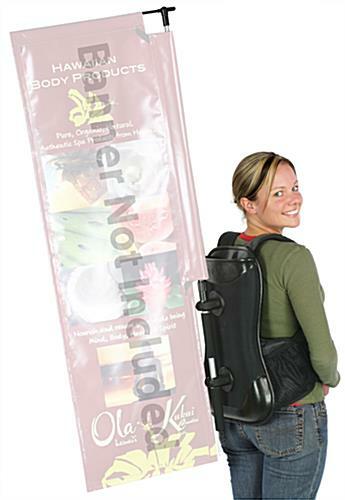 This revolutionary marketing solution is the backpack flag for any professional who wants to grab the attention of a large audience. 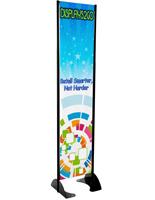 Why settle for just the standard banners that are typically placed next to a booth or presentation area. This backpack flag is effective for indoor use at trade shows, expos and in mall atriums, as well as outdoor use in front of a shopping center! Lead potential customers in the right direction as you parade advertisements around on yourself. 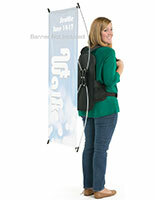 This backpack flag holds a double-sided banner or flag so your advertisements are visible from multiple angles. Be creative and print different messages or slogans on either side of the banner. 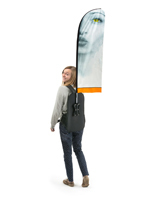 Each banner display, backpack flag comes with a retractable aluminum pole built into the unit with a carbon fiber post attached to its inside. There is also a pocket on its backside intended to hold promotional supplies for your convenience. 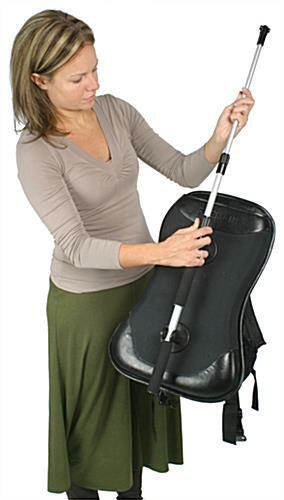 This all comes in a convenient mesh carrying bag for easy mobility! 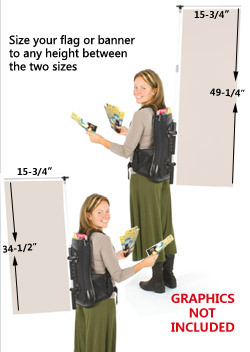 Each backpack flag holds a 15-3/4"w and up to a 49-1/4"h double-sided printed fabric or vinyl banner. To assemble the units simply unscrew fasteners on the aluminum pole. Then, slide the carbon fiber post through, attach rubber o-ring to keep it in place and attach your custom printed flag. 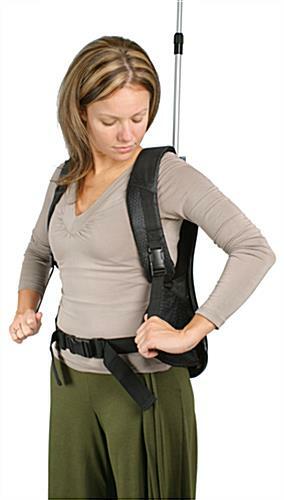 Slip on the backpack flag, adjust both straps, and buckle its front latch. You are now hands free to pass out brochures and talk to potential clients about your products! 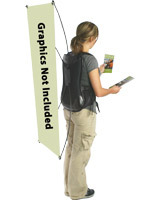 Wearing a backpack flag like this wearable graphics display and portable banner holder has proven to be an effective sales tool for many companies. Try it out and see immediate results! We are looking forward to using this at our upcoming events. Getting folks information in outdoor venues is always a challenge.